Just as there are dairy cattle and meat cattle, there are some breeds of goats better suited for milking and others that have characteristics that make them better suited for meat production. 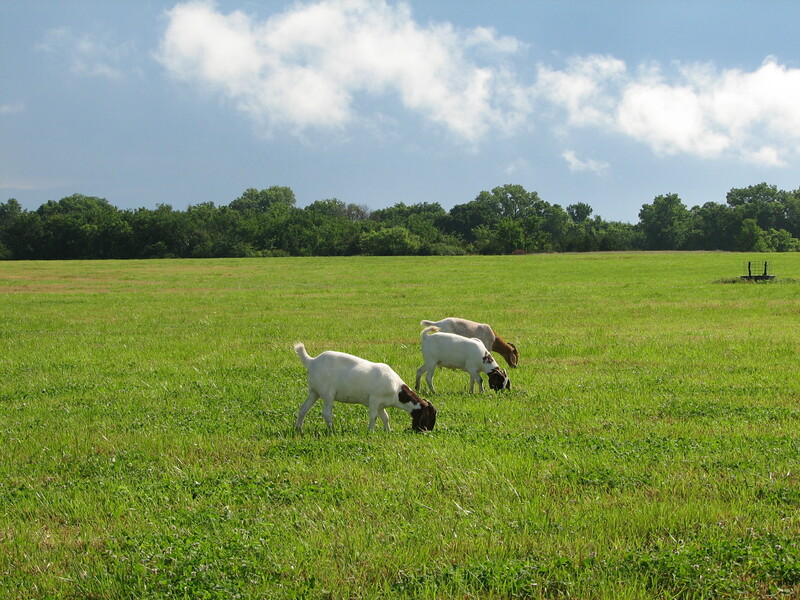 We raise Boer meat goats, a variety of goat that originated in southern Africa and was imported to the United States in the 1990s. Many people in the Midwest are surprised to learn that goat is one of the most popular meats in the world. It’s estimated that 63 percent of the red meat consumed worldwide is goat. Goat meat is lower in fat and cholesterol than beef, and many people substitute it in their favorite beef recipes to bring the fat content down. It is a versatile meat for slow cooking methods such as roasting, braising, smoking and in also methods that use Crock-Pots. Plus, if you eat the goat meat we have raised on our farm, you know that you are going to eat a pasture raised animal that eats grass and hay with plenty of room to move around. This is a much better life than meat animals that are confined to a mass feeding operation for their last months or weeks of life. One of the most common questions we are asked is to describe what goat meat tastes like. It is sweeter than beef or pork. It does not taste like game meat, but unlike many meats you purchase at the grocery store it has a bolder flavor. In short, it is goat meat – unique, and like all other meats, you need to try it to describe it.